Shop in the #JamaicaBID district this weekend for Fab Stealz and Dealz during Sidewalk Sale Days – Friday, June 1st thru Sunday, June 3rd. The Jamaica BID Sidewalk Sale Days Program is a weekend of deals and fabulous finds on Jamaica Avenue! These are the only dates and times businesses are permitted to display merchandise outside, including hanging items from awnings and/or canopies. Merchandise, racks, tables and /or hangers cannot extend more than three  feet from the building. Sidewalk Sale Days are only permitted along Jamaica Avenue from Sutphin Blvd. to 169th St. including Union Hall Street. Businesses displaying merchandise outside of Non-Sidewalk Sale Days will be ticketed, or possible confiscation of merchandise. Valerie Stevens on Grand Opening – Fresh and Healthy! 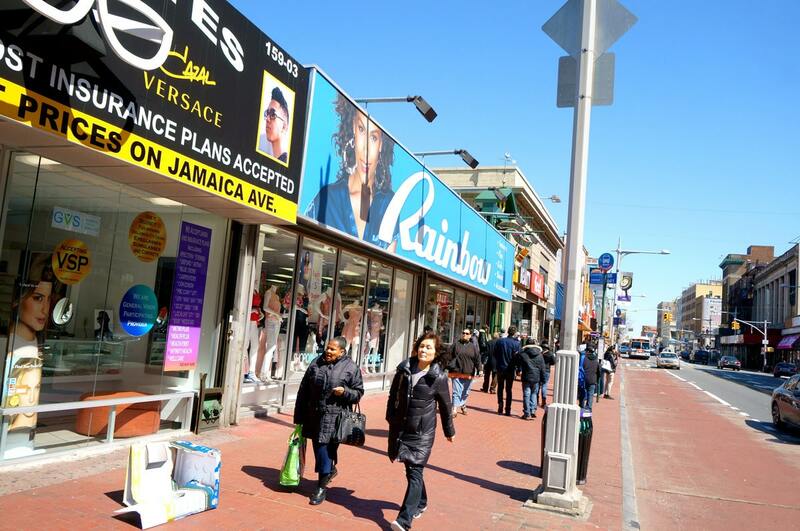 Jamaica Center is the proud home of 37 national and regional retailers, several major cultural and educational institutions as well as City, State and Federal Offices.